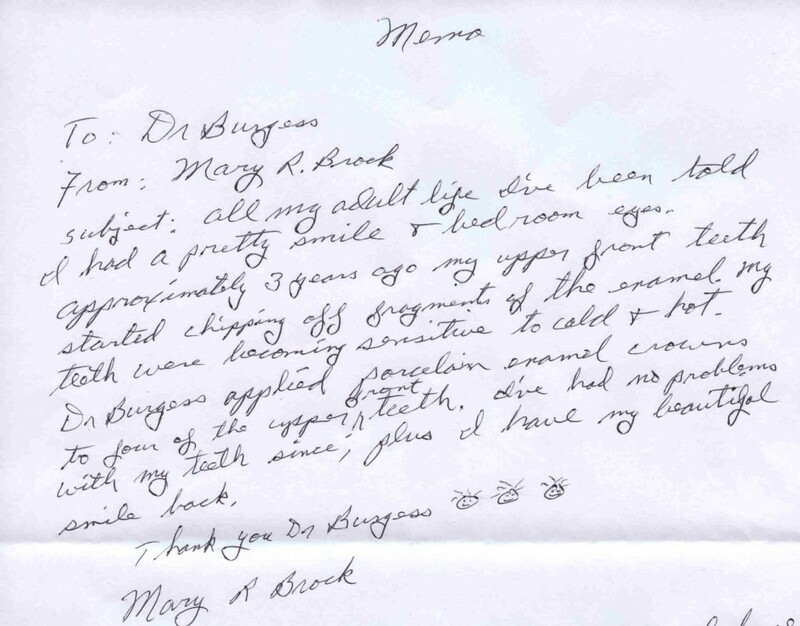 Dr. Burgess came highly recommended to me for cosmetic dentistry. Dr. Burgess is the only dentist I will see for cosmetic or general dentistry. He created a porcelain veneer that looks identical to all of my other teeth. The time and intricacy that went into that one tooth made me realize just how talented Dr. Burgess is. 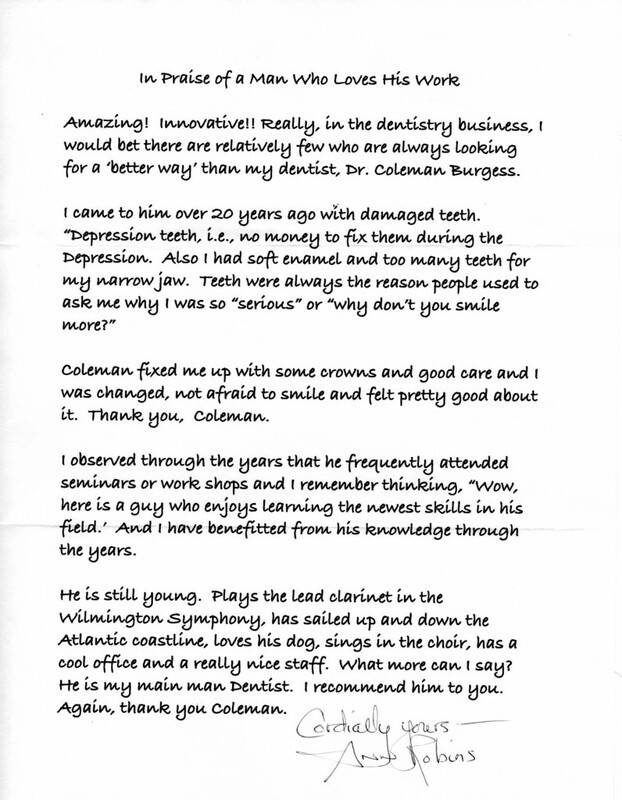 I highly recommend Dr. Burgess for general and cosmetic dentistry.